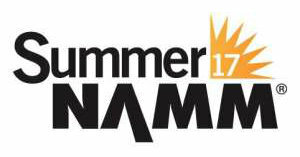 Morley will be exhibiting at Summer NAMM in Nashville TN on July 13-15. We will be exhibiting at booth #1153 but also at Hal Leonard booth #612 who is our new USA Master Distributor. For those of you who may not be familiar with NAMM, this is the National Association of Music Merchants. They are a non-for-profit association that helps grow the music industry by way of trade shows, communication, marketing and advocacy. They have two main trade shows each year; one in January in Anaheim California and one in July in Nashville Tennessee. Both NAMM shows are for industry members only and is a gathering place for dealers, manufacturers, distributors and artists to show new products, do business and keep up with latest trends in the industry. At summer NAMM, we will be launching release of our new Morley Mini’s, showing our new packaging, updated website and announcing our new partnership with Hal Leonard. It’s always great to see the rest of our industry family each NAMM show. Hope to see you there!